The map in the header above shows the location of BG Windus's house, on Philip Lane, with outbuildings, garden and orchard. 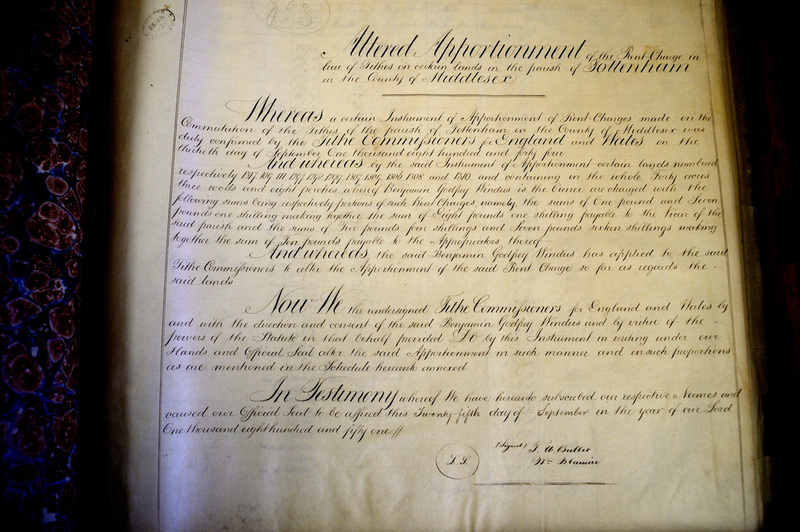 The Apportionment of rent charges in lieu of tithes 1844, on the right, shows that in addition to his home BG Windus, owned land and buildings in Tottenham which he leased to others. 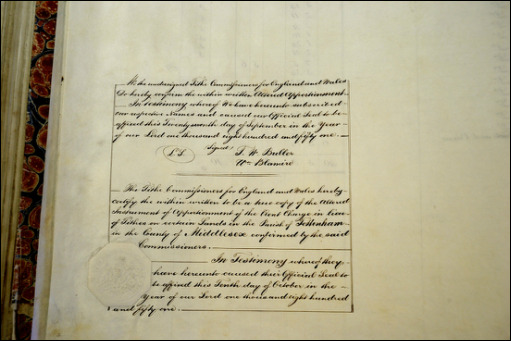 In 1844 the volume shows that the White Hart public house, yard and buildings, garden, bowling green and meadow were occupied by John Smith. Richard Clark rented a meadow and James Holmes a house, garden and yard. 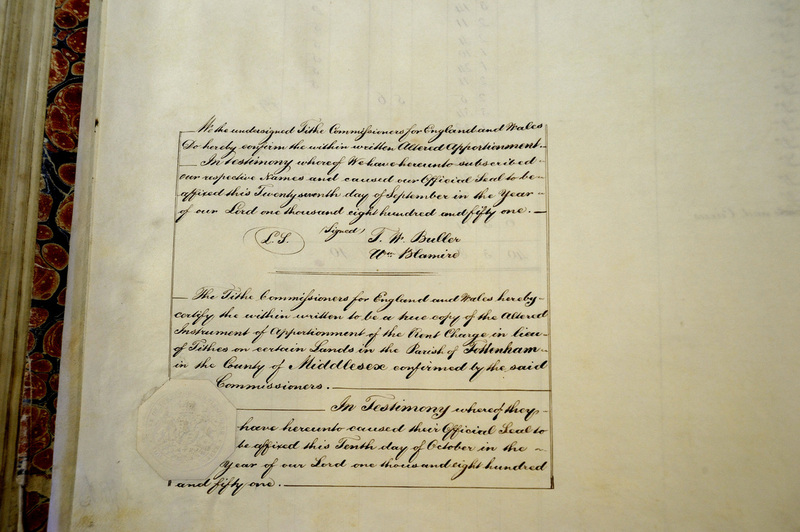 Sundry occupiers rented the five tenements he owned with Philip Hunt, and Sainer rented a house, lawn, garden and meadow. 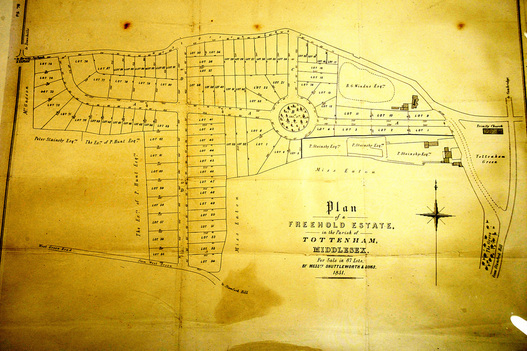 The area which was to become Clyde Circus is clearly shown and the owners of the land bordering the lots to the south of West Green Lane identified – Mr Gadson, Peter Stainsby, P Hunt and Miss Eaton. West Green Lane, now Philip Lane, is shown leading in the west to Hornsey, Southgate and Enfield with Tottenham Green and Trinity Church to the east and Downhills is indicated to the north. Cambridge is indicated north from Tottenham Green and Stamford Hill to the south. 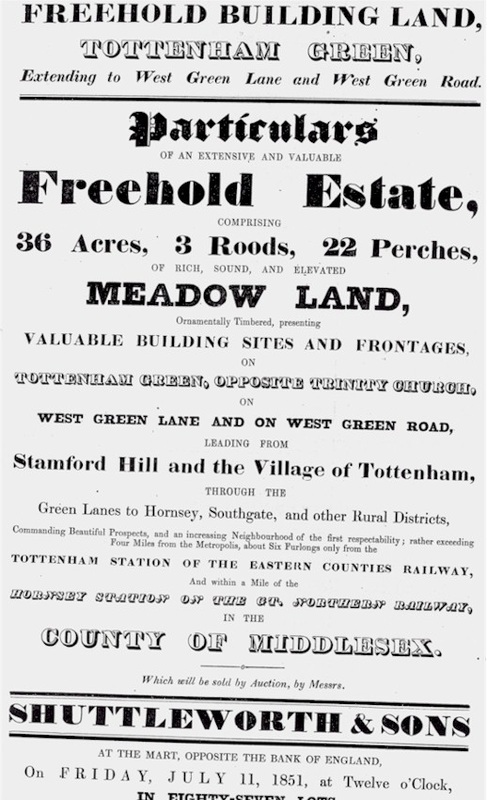 By 1851 BG Windus owned a considerable area of land adjoining his home at Tottenham Green. 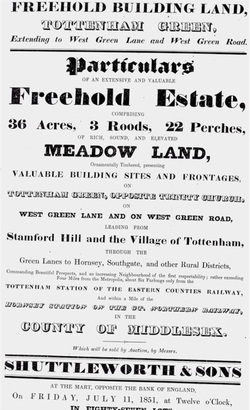 The land, which was put up for sale by auction in 87 lots, was bordered by West Green Lane to the north and West Green Road to the south.